The age-old saying ‘less is more’ became a lifestyle for writer Joshua Fields Millburn in 2009. That’s the year he became a minimalist—completely pairing down his worldly possessions and clearing out mental clutter. Since then, he says, he’s never felt freer. Note: We featured 14 innovators in the world of home design in our April issue, but didn’t get a chance to share everything they said on page. Over the next week, we’re sharing in-depth interviews with three of the subjects. The second is below. See the first one here. Now in Missoula, Montana, the Ohio-native owns fewer than 288 things and lives debt-free. 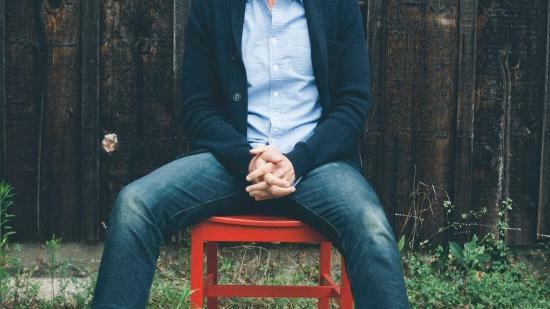 He writes, speaks publicly and blogs with his friend and fellow-minimalist, Ryan Nicodemus, at theminimalists.com. What do your family/friends think of your minimalist lifestyle? Was anyone skeptical at first?My friends and family appreciate the changes I’ve made in my life. Sure, people are sometimes skeptical when they see someone making a significant change to their lifestyle, but once they notice the benefits of that change—I’m happy, calm, and debt-free—they often want to know how I did it. Ergo, the benefits (i.e., the “why-to”) are much more important than the declutter actions (i.e. “the how-to”). In your experience, what types of household items are hardest for people to get rid of? Is there anything surprising people hold onto?Sentimental items are difficult for just about everyone because of the memories they hold. But of course our memories are within us, not our things. Plus, I’ve found that by letting go of sentimental items that don’t add value to my life, I’m able to enjoy the few sentimental items I have much more. Do you ever wish you could have a cheat day and visit a Costco to stock up on things you want/need?No, because if I truly need something, I buy it. Minimalism isn’t about deprivation; it’s about living intentionally. As a minimalist, everything I own serves a purpose or brings me joy. What are you reading/listening to right now?I’m reading Matt Sumell’s new novel, Making Nice, which is funny and sad and sometimes both at the same time—an outstanding book. And I’m currently listening to an amazing band called Parlor Hawk; their self-titled second album is one of my all-time favorites. Who are you following online?Online, I follow anyone who adds value to my life—feel free to see who that is on Twitter, @JFM. A perfect day for you includes the following 3 things …Writing, exercise, friends. What’s your mantra?Love people, use things. The opposite doesn’t work. What’s been the biggest surprise of going minimalist?The things we think matter, rarely do. And the areas of life we forsake—health, relationships, contribution—matter much more than we think. Getting the excess stuff out of the way helps us realize this.